ST. GEORGE — Hunting, fishing and wildlife viewing on Bureau of Land Management land in Utah had an economic impact of $79.1 million in 2016, according to a study funded by The Pew Charitable Trusts. Participants in those activities spent over $58 million, with hunters’ contributions accounting for about two-thirds of the total amount spent within the state. In addition, hunting on BLM lands in Utah during 2016 supported an estimated 580 jobs resulting in $21.1 million of income. 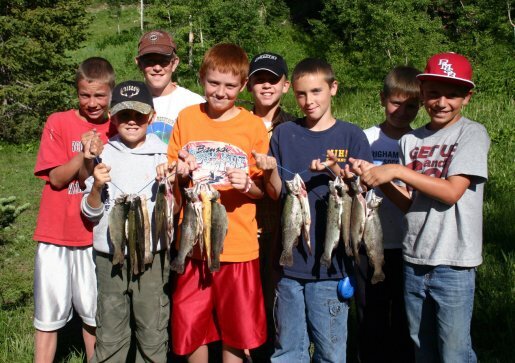 Fishing supported about 189 jobs and wildlife viewing supported 70 jobs; those two activities collectively produced about $10 million of income, which means that hunting contributed a greater value to Utah’s total economic output in 2016 than fishing or wildlife-viewing combined. In 2016 there were more than 270,000 trips made to use BLM land in Utah for wildlife-associated recreation. Big-game hunting accounted for more than one-third of all trips made to participate in wildlife-associated recreation in Utah. The study was conducted by the independent firm Southwick Associates and released this month by Pew, the Theodore Roosevelt Conservation Partnership, the Wildlife Management Institute, Trout Unlimited, the Archery Trade Association, and the American Fly Fishing Trade Association. It examined hunting, angling and wildlife watching on BLM-managed public lands in 11 Western states and Alaska. The study found that in 2016 wildlife-related recreational visits to these landscapes across the West resulted in more than $3 billion in total economic output – the value of all sales associated with these three types of recreational activities on BLM lands. Those activities supported 26,500 jobs, generated more than $1 billion in salaries and wages, and produced over $421 million in federal, state and local tax revenue in 2016. The BLM manages more fish, wildlife and plant habitat than any other federal or state agency in the United States; more than 3,000 species of wildlife live on BLM-managed public lands. BLM is developing more than a dozen plans for public lands across the West and Alaska that will guide the management of tens of millions of acres over the next 20 years. The agency is required to consider various uses for public lands – including conservation, recreation, and energy development – and to seek management outcomes that sustain these activities in the future, according to an article by Ken Rait, who directs The Pew Charitable Trusts’ U.S. public lands conservation initiative. The new Southwick economics report provides important information that should be used to inform BLM’s land use decision-making. Some of the agency’s plans are currently being aligned with the Trump administration’s priority on developing domestic energy supplies. Consequently, large tracts of public lands are being made available to energy development. This singular approach to public lands oversight is inconsistent with the agency’s multiple-use mandate and could undercut regional western economies that depend on healthy wildlife populations. The BLM should consider the Southwick report as the agency moves forward with land management planning to ensure that wildlife habitat and animals’ ability to thrive are factored into decision-making. BLM lands are vast enough to allow for a responsible balance between conservation and energy development. Not all uses are appropriate on every acre of public land, and some places that are important habitat – and that create economic benefit for nearby communities – should be protected from uses that damage habitat values.